Along with an intense heatwave, Japan is now in the mist of a typhoon as Typhoon Nangka has made landfall today, dumping upwards of 23 inches of rain across the country. Current wind speeds are estimated at 75 mph and is the equivalent of a Category 1 tropical cyclone. Due to fears of major flooding and landslides, more than 4,000 residents living in the Kochi Prefecture have been advised to evacuate. Transportation has already been affected due to the weather conditions. A total of 110 Nippon Airways and Japan Airlines flights have been cancelled and parts of expressways west of Tokyo have also been closed due to high tides and heavy rain. Typhoon Nangka has caused all kinds of chaos across Japan with serious flooding occurring in the suburbs of Tokyo. Japanese media reports that at least 25 people have been injured and two people have died as a result of Typhoon Nangka. Both deaths occurred in the Hyogo Prefecture. One victim fell while attempting to cover windows as a precaution against the strong winds. The other death occurred when an elderly person fell off a 100-foot cliff while attempting to view a flooded canal. It was also reported tonight that the Japanese Meteorological Agency is warning that some locations could see up to 3 feet of rainfall and nearly 400,000 people have been advised to leave their homes. NBC News has also provided a brief update tonight confirming that Nangka has now been downgraded to a tropical storm as it moves north, though officials are still concerned that the strong winds and rain could still pose a danger with wind gusts registering 75 mph. Why haven't they evacuated yet? Can't the government force them to? Why were they just "advised"? Typhoon Nangka is currently a weakening tropical cyclone.High winds of up to 72 Km/h from Nangka tore roofs from homes and downed trees and power lines.Goodness that majority of the population were evacuated and not much of a death toll was wrecked on. A weakening tropical cyclone? Could you explain that term? I don't quite understand what you just wrote. The typhoon has been downgraded to a tropical cyclone as it has weakened rapidly - sustained wind speeds are now approximately 40-mph - and the center of the storm was beginning to exit into the southern Sea of Japan. The Weather Channel has a good run down of the latest events. Does anyone think this might expand and travel south to the Philippines? I was there in October 2009 and it was not nice at all. I wouldnt want to be caught up in it neither do my friends who live out there. Any Information would be fantastic. According to this report, this report and this update, Typhoon Nangka is unlikely to enter the Philippine Area of Responsibility although it may enhance the ongoing Southwest Monsoon (also known as Hangin Habagat). There were reports earlier in the week that it was possible that Nangka might graze the PAR line on Wednesday but it has gradually drifted further north making it unlikely that the Philippines will be affected. 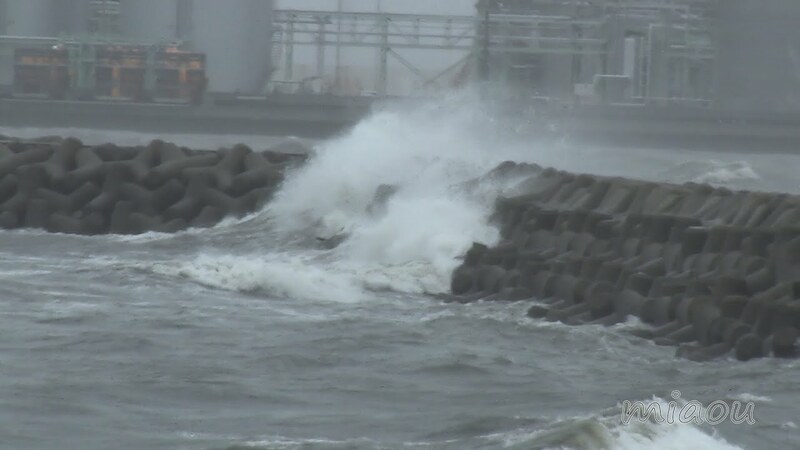 Video footage from Japan showing the effects of Typhoon Nangka has been surprisingly hard to come by, besides the small video clip in the NHK article I linked to above, the only other prominent footage I have found is shared below. The latest reports still have the death toll at 2. Given the amount of rain and the number of people that were in the eye of the tornado, it is pretty remarkable how few people were injured or affected. The same goes for Typhoon Chan-hom in China. Ther ehas been a more latest prediction on this,it is one the verge of weakening into a tropical depression,it will then possibly be headed northeast across the northern tip tomorrow,Sunday.To suffice this statement,the weather agency has taken back the warnings for flooding, gale-force winds, landslides and high waves. This Wunderground article ties Typhoon Nangka up into a nice little bow. Although Nangka has now weakened into a tropical depression, it is still dousing parts of the country with heavy rainfall. The highest reported rainfall was 29.35 inches in Kamikitayama village. The highest recorded wind gust was 95 mph at Cape Muroto. The highest sustained wind from Nangka was also reported at Cape Muroto at 75.8 mph. According to hurricane specialist Michael Lowry, Wednesday, July 8 marked the first time in over 20 years that three typhoons were active in the western Pacific basin at the same time (Chan-hom, Linfa and Nangka). The costs and damages of Typhoon Nangka are still adding up, more than 10 days after it first made landfall. It was reported by the AFP today that Typhoon Nangka killed more than 11,000 farmed bluefin tuna. The tuna had an estimated valuation of $10.42 million. The storm also caused extensive damage ($2.4 million) to aquaculture facilities in Kushimoto.